Please find below a list of the major new features, improvements and bug fixes in the AODocs version 37. Our new AODocs homepage comes with a new design and several new features. 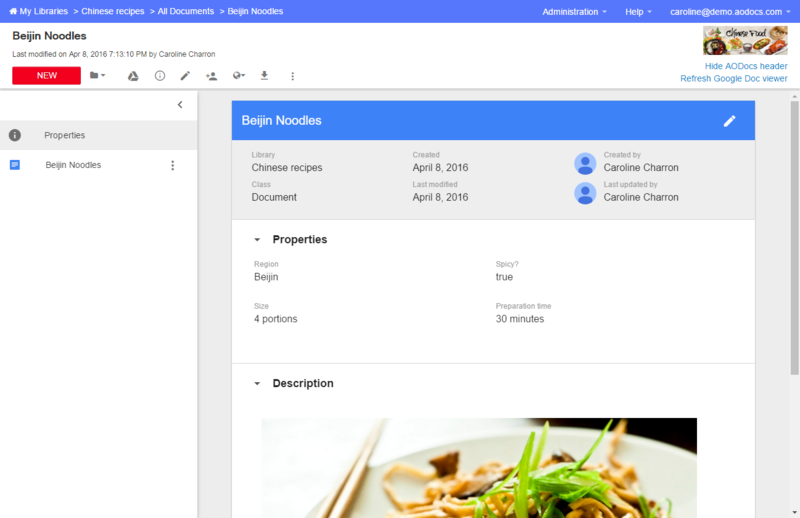 Libraries are displayed in a new design on the homepage and now have a Google Drive button so you can open your Team Folder or Secured Folder libraries, directly in Google Drive. Administrators can directly access the library permissions and the library administration page from the homepage. Administrators can now apply labels on their libraries and filter libraries based on the labels. To make it even easier to create new libraries, we have built new library templates. The library templates automatically create a preconfigured library, pre-filled with sample documents. Each template comes with a description and videos to explain why and how to use it. The sample documents created with the template are meant to help you understand how to use the template- you can easily delete them when you no longer need them. As an administrator, you can create and edit sublevel values to your categories. You can remove all the values from a sublevel but the sublevel name remains. In order to remove the empty sublevel categories, we added a new button in the category edition page. Clicking on the button will remove all the empty sublevels and keep the sublevel category with defined values. In the new editor, the attachment behavior changes according to the attachment type. If the attachment has a preview available in AODocs, then clicking on the attachment name or icon will open it in AODocs. If the attachment has no Drive preview but can be opened in a defined web app, then clicking on the attachment name or icon will open it in a new browser tab. Note: As of release 37, this specific preview will work with Lucidchart and Virtru. We plan to add other supported applications in later releases. If the attachment can not be previewed on your browser, then clicking on the attachment name or icon will download it. Allowed users who are not from your G Suite domain can now fully use the new editor as if they were users from your domain. 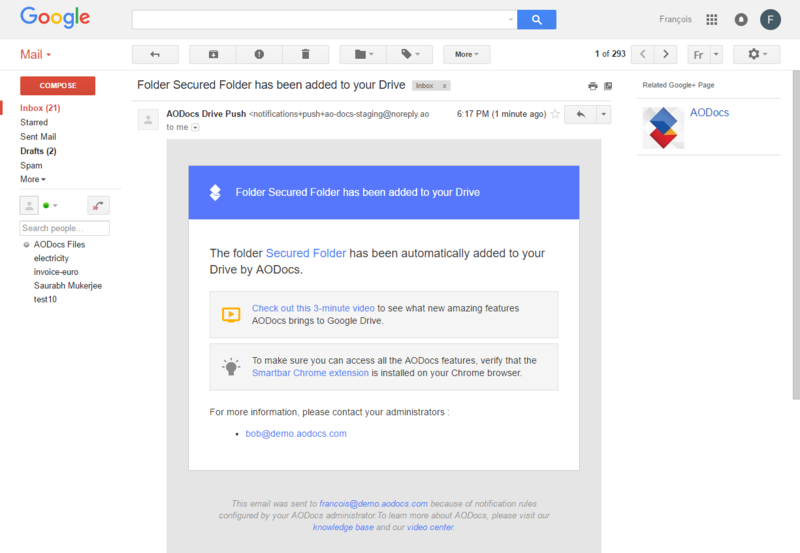 The email notification when an AODocs library has been pushed to My Drive has been redesigned. The attachments with accented and umlaut characters are well displayed in the legacy editor. From an AODocs view, selecting another view from the view picker displays only the first 50 characters of the view name. Using Drive Sync, temporary Microsoft Office files are filtered from the synchronisation. Trash retention is now based on the deletion date instead of the last modified date. Adding a tag to a document refreshes the tag displays automatically. Users with reader permissions don’t see the button “Import folder” anymore. Storage accounts do not consume licenses anymore. Users are listed only once in the license table. In Document Management libraries, attachments uploaded from users’ computers are not added to their My Drive. Email addresses used to create AODocs documents are not case sensitive anymore. The new editor is fully translated in French. Communicate on the change of Home Page, see details above.